McLaren has launched its latest F1 car - the MCL34 - at its headquarters in Woking ahead of the 2019 season. McLaren has taken the covers off its latest F1 car ahead of the 2019 season. 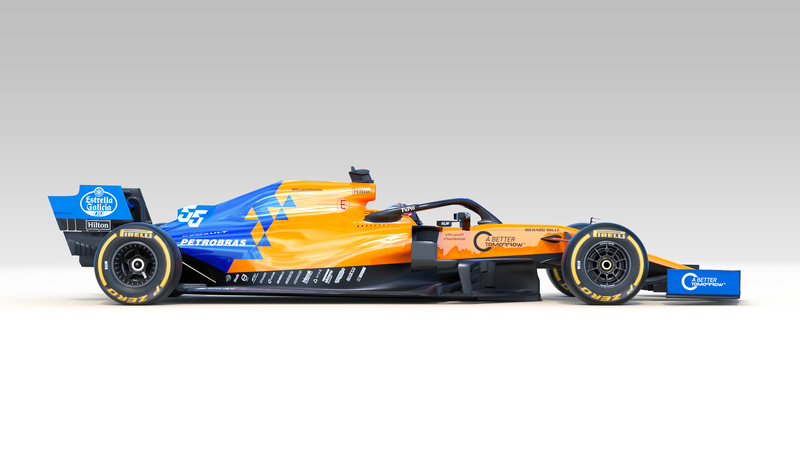 The MC34 was unveiled at McLaren’s Woking headquarters on Thursday and retains the distinct papaya orange and 'vega blue' livery that adorned its predecessor. McLaren continues its recovery bid in the upcoming campaign having improved to sixth place in the constructors’ championship after switching to Renault engines last year, following a disastrous tie-up with Honda at the start of the current V6 hybrid era. The British squad has made a series of significant changes to its management structure as part of a renewed push to return to winning ways in F1, with its last victory coming at the 2012 Brazilian Grand Prix. It has signed former Porsche LMP1 boss Andreas Seidl - who will begin work with McLaren ahead of the Spanish Grand Prix in May - to head up its F1 operations, while ex-Toro Rosso technical director James Key will join the team to bolster its technical department. Following the departure of two-time world champion Fernando Alonso, McLaren will also field an all-new driver line-up for 2019. Carlos Sainz has made the switch from Renault, while the highly-rated Lando Norris enters his rookie F1 season after being promoted to a full-time race seat in place of Stoffel Vandoorne following an impressive rise through the junior ranks.